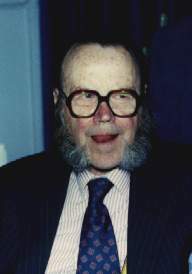 CHATFIELD, Ernle David Lewis On 30 September 2007, peacefully at home in Vancouver, Canada, aged 90, second Baron Chatfield of Ditchling and beloved husband of Elizabeth. Son of the late Admiral of the Fleet Lord Chatfield, P.C., G.C.B., O.M., K.C.M.G., C.V.O., and the late Lillian. Dearly loved brother of the Hon. Katharine Duckworth. Beloved uncle of "Alpha", Sarah Munro of Foulis (Hector) and "Beta", Countess Harriet von Einsiedel, and great-uncle of Finnian, Isabella, and Aline Munro; and Orlando, the late Evelyn, Gwennie and Robin von Einsiedel. The funeral will be held at St. Barnabas Church, corner of Belmont and Begbie, Saint Barnabas, Victoria BC, Canada, at 2:30 pm on Friday, Oct. 5. Reception to follow in the parish hall. In lieu of flowers, donations to Victoria Hospice would be appreciated by the family. The family wishes to thank Drs. Ted Rosenberg and Frank Kemble for their care, and Ernle's caregivers, Dez, Miko, Randy and Dee, and most especially in the last days, Betty and Sandra. So he passed over, and the trumpets sounded for him on the other side.